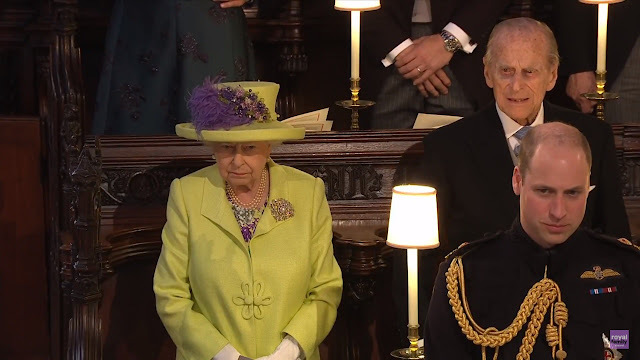 The Queen, The Duke of Edinburgh, and other Members of The Royal Family attended the wedding of Prince Harry and Ms. Meghan Markle, now The Duke and Duchess of Sussex, at St. George's Chapel, Windsor. The Queen came ready for a spring wedding today, in an outfit in lime, lemon, and purple by Stewart Parvin with a matching hat by Angela Kelly. 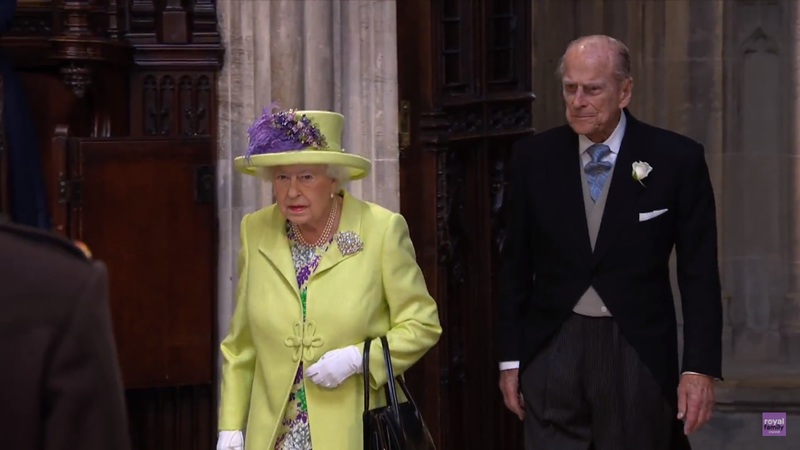 The Duke of Edinburgh was looking in fine form too, returning to the royal fold after his hip surgery. My "practical" brooch guess turned out to be spot on, if I do say so myself: The Queen sized up from her everyday brooch selections with the Richmond Brooch, one of Queen Mary's wedding gifts. Very sparkly indeed! Queen Mary's wedding gifts also provided part of the bride's tiara, which was on loan from The Queen. 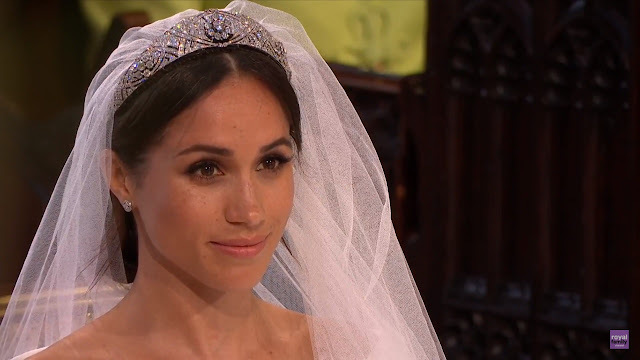 We'll have more on the tiara over at the other blog and it will eventually get its own post here as other jewels have - but first, the rest of the wedding posts! Stay tuned to the Order of Splendor.